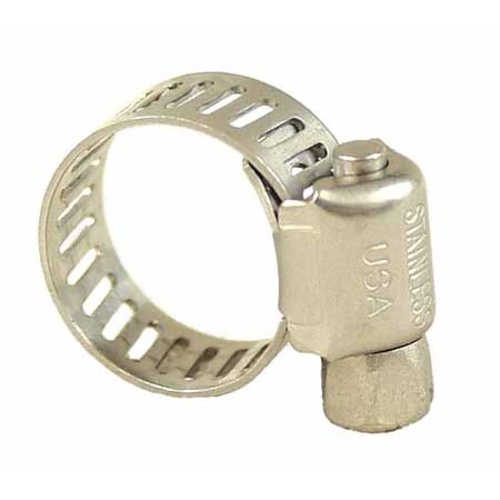 Stainless steel hose clamp with hex head and slot for flathead screwdriver. Fits tubing from 3/8 inch to 7/8 inch outside diameter. Size 3/8 in., 1/2 in., 7/8 in.